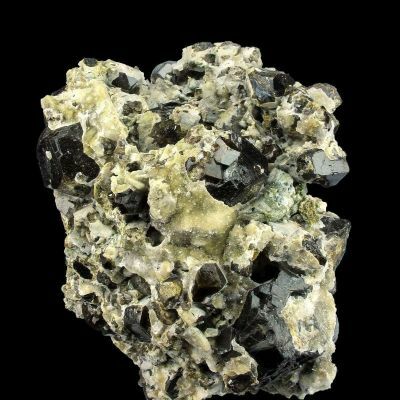 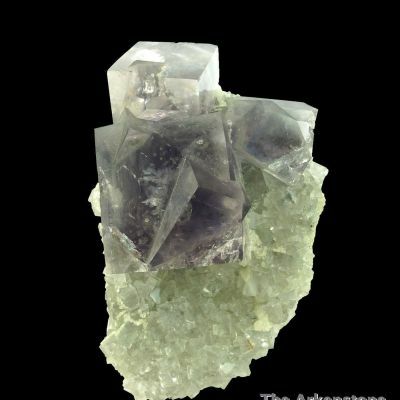 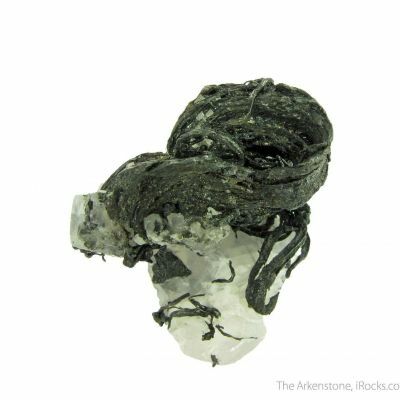 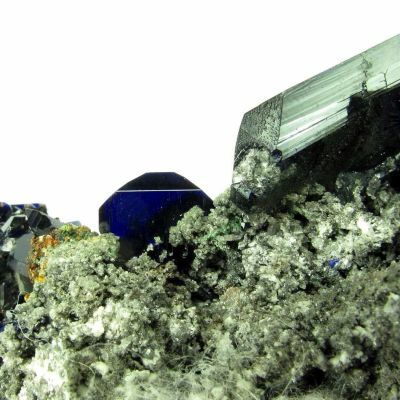 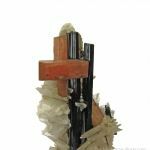 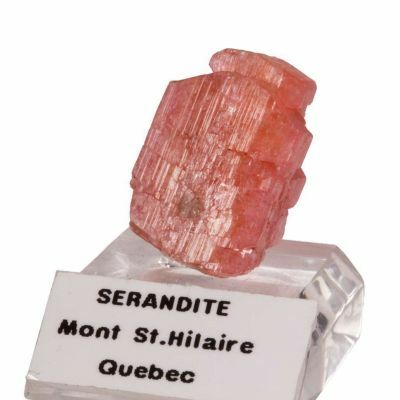 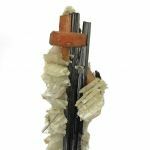 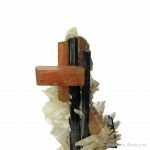 The alkali massif of Mont Saint-Hilaire has produced the finest Serandite crystals anywhere in the world, and when in combo with other species, they are amazing pieces. 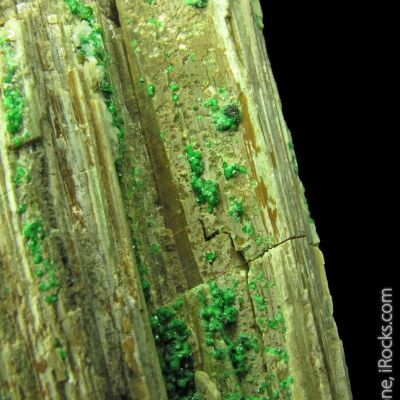 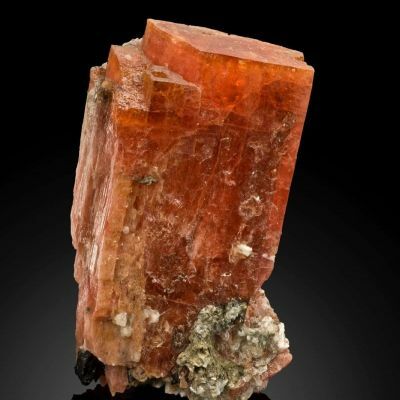 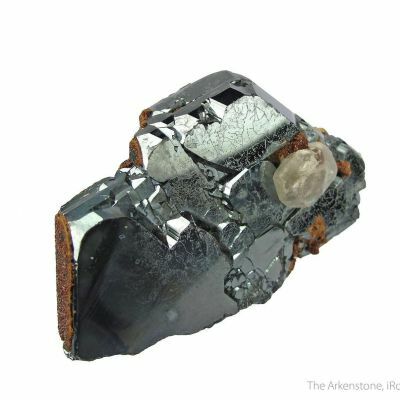 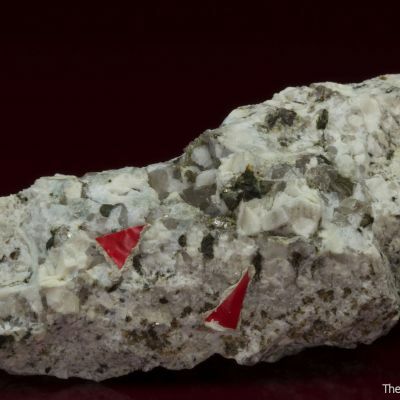 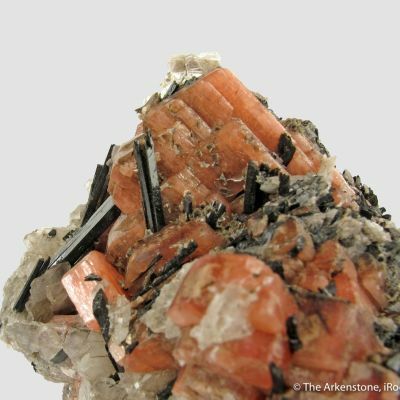 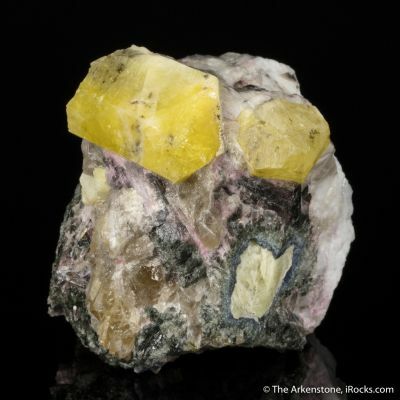 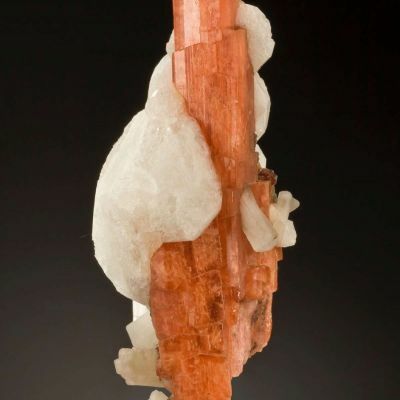 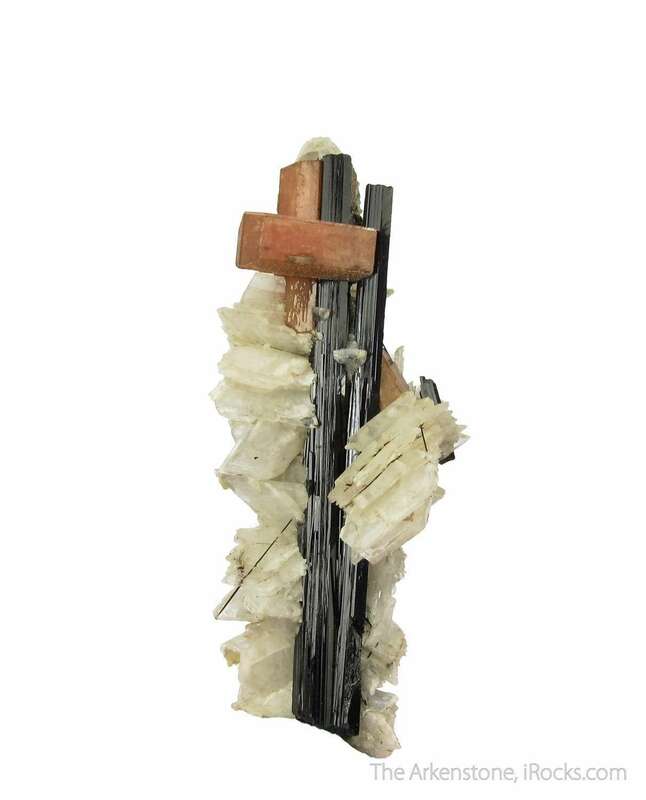 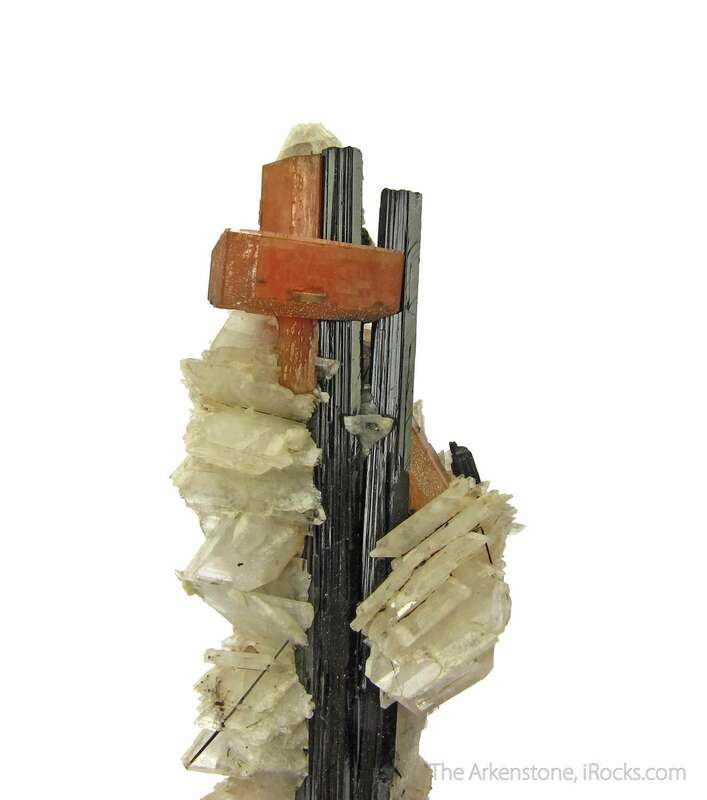 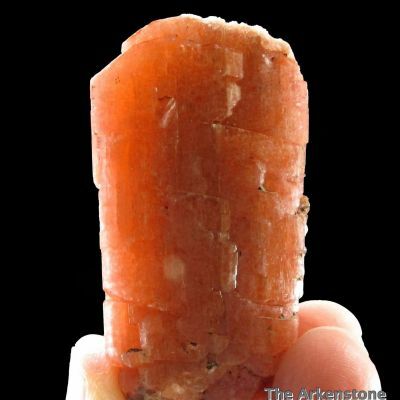 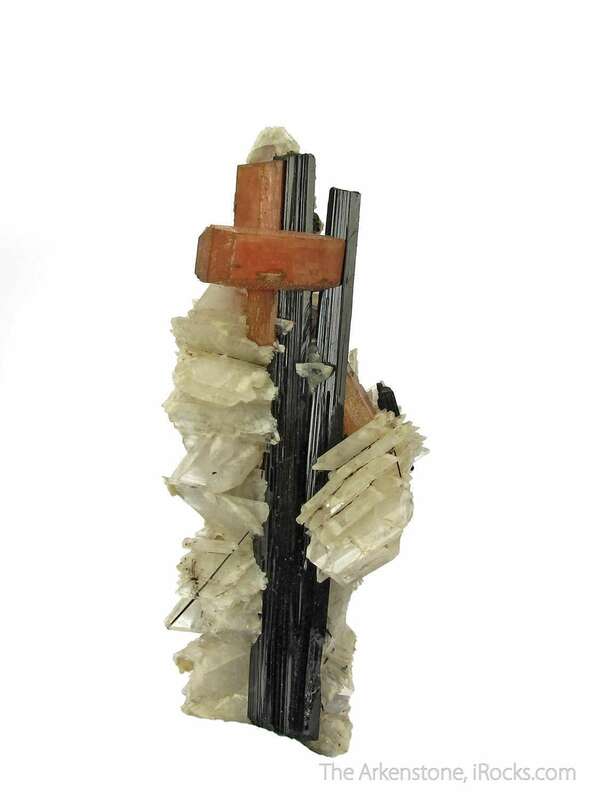 This specimen features prismatic, salmon-colored Serandite crystals up to 1.5 cm long. 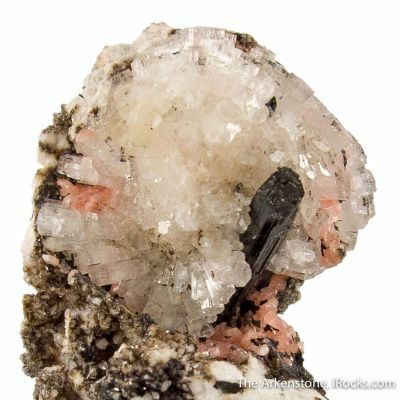 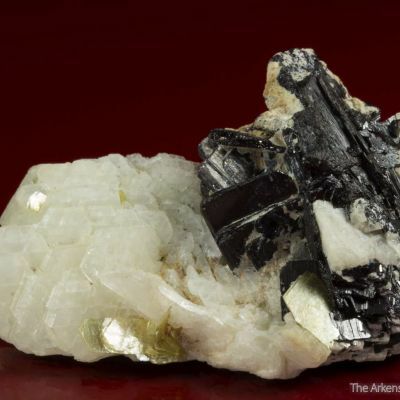 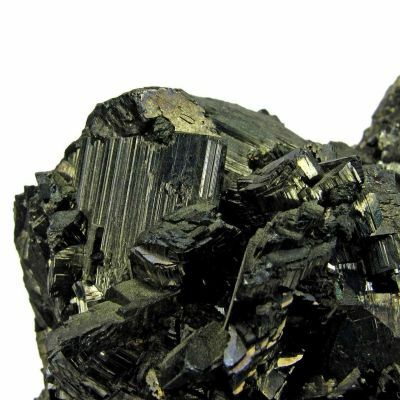 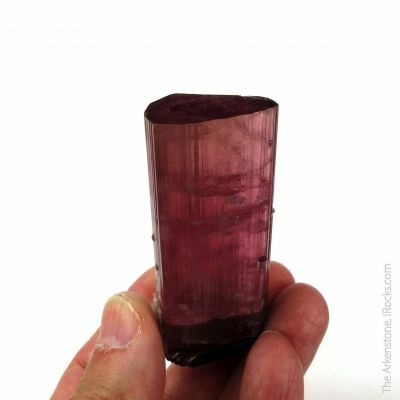 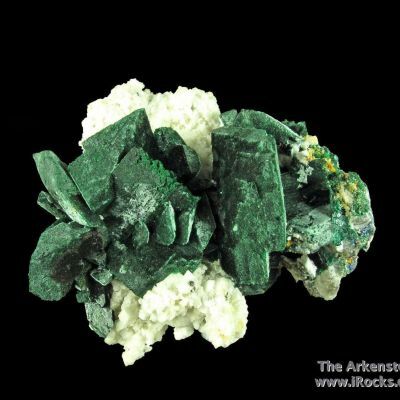 They are perched beautifully near the terminations of slender and lustrous 5.4 cm Aegerine crystals. 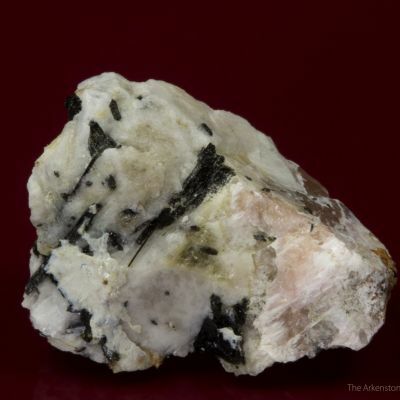 And if that wasn't enough, the Aegerines are decorated with numerous, bladed Albites, many of which are combined into lovely radial clusters. 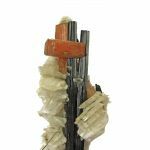 Just an outstanding combo piece with aesthetics that are second to none! 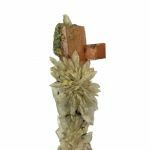 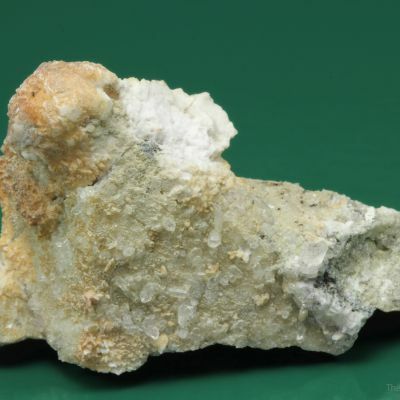 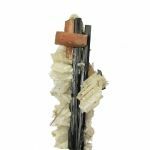 Serandite only occurs in good crystals at this classic Canadian locality and they are incredibly rare on the market today! A unique combo.